It was my friend, Erika's, birthday the other day so what better treat to make for her than bite size muffins for breakfast. Whenever I make muffins from scratch, I always turn to Ina Garten's Barefoot Contessa cookbooks. 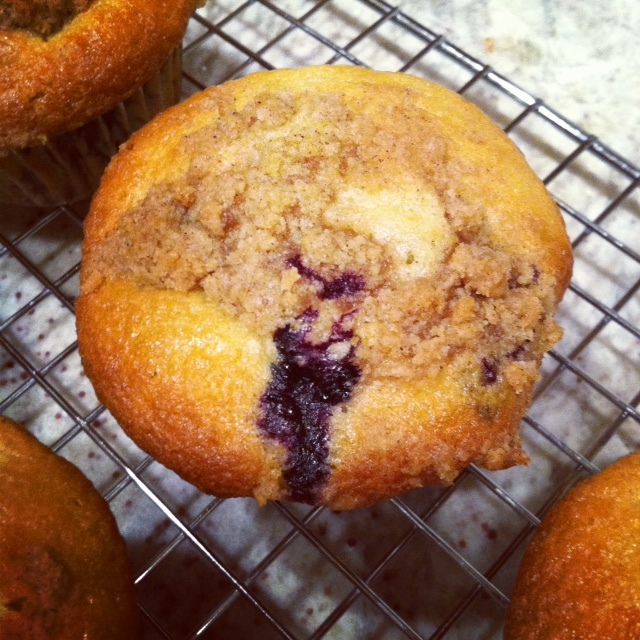 Her muffin recipes constantly turn into the most incredibly moist, sweet tasting goodies, because she doesn't skimp on the berries and adds dairy instead of water. However, wanting to keep the creativity flowing, I always like to add my own twist to the recipes I find. Her blueberry muffins call for buttermilk and lemon zest. She specifically mentions in her cookbook that you won't be able to detect the lemon zest but that it enhances the flavor of the muffins. Well, if I'm going to add citrus to my food, I want to be able to taste that tangy flavor! So, instead, I used orange juice and orange zest for a fresh punch and low fat milk for a slightly healthier bite. 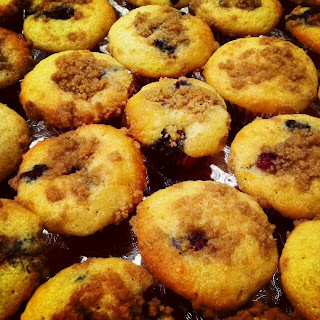 And these mini muffins were a huge hit. Sift the flour, sugar, baking powder, baking soda and salt into a large bowl and blend together. In a separate bowl, whisk together the milk, orange juice, melted cooled butter, orange zest, and eggs. Stir the milk mixture into the flour mixture with a fork, mixing just until blended. Fold the blueberries into the batter. Don't overmix! Scoop the batter into a mini muffin tin lined with paper cups, filling them almost full. For the topping, place all the ingredients in a medium sized bowl and cut with a pastry cutter, until the butter is in very small pieces. Then rub with your fingers until crumbly. Spoon about 1 small spoonful of the streusel on top of each muffin. Bake the mini muffins for about 12 mins each, until golden brown. 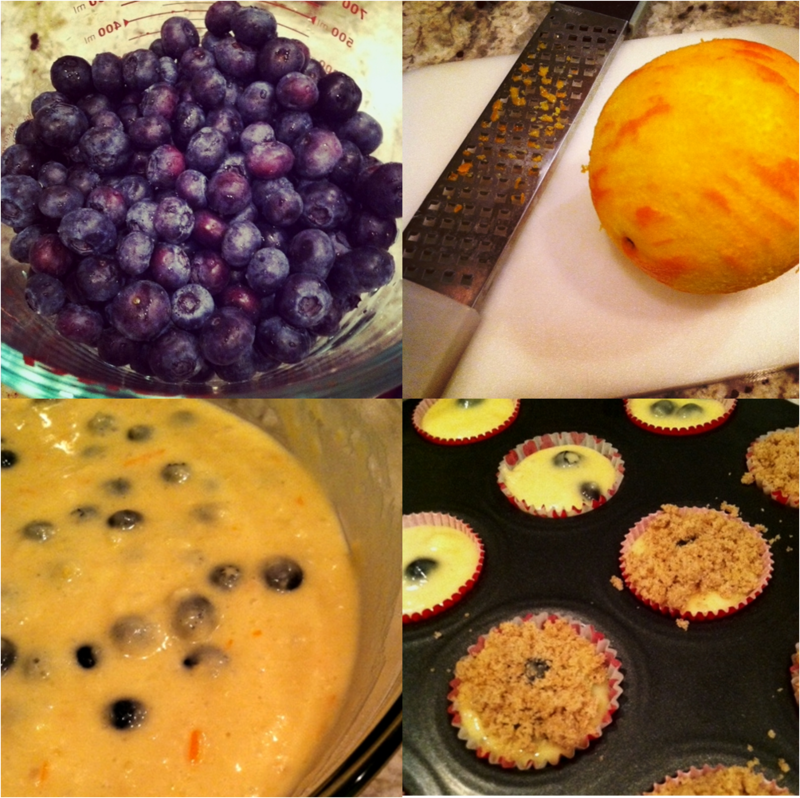 If baking regular size muffins, cook for about 20-25 mins. Juicy, sweet, tangy and with a crumbly crunchy top! You'll never go back to store bought muffins again! As long as I can remember, my family and friends have always called me "An Old Soul". Makes sense... I'm only 29, yet I live the life of an 80 year old. I scrapbook, crochet, play Bunco and own two cats. Being the baby of an older family has matured me, and perhaps I've gone too far! But what keeps me from completely going over the edge is my modern taste in life! 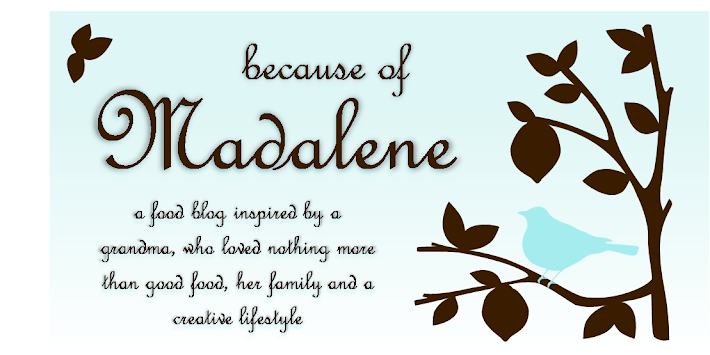 So I'd like to share with you all a new twist on some of my Italian family's old recipes, a few crafts and a story here and there. Enjoy! Happy National Cheese Lovers Day! What Does Your Cob Say About You?